Well, I am eating my words and doing something that I said I would never, ever do again. 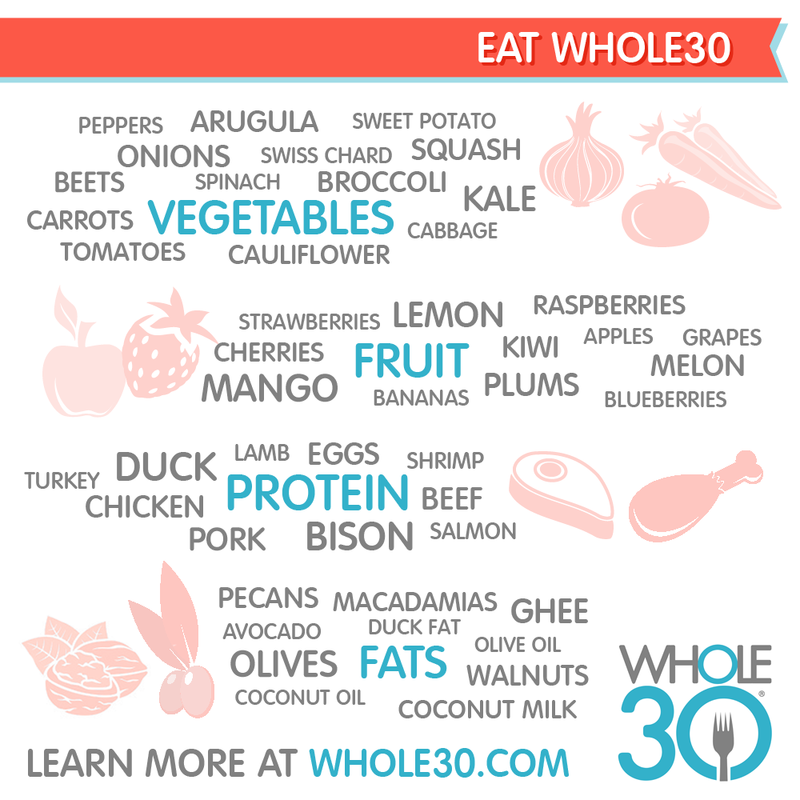 Another Whole 30. Starting next week! I said I would never do another one for a lot of reasons, but the biggest is because I felt like after I was finished with it, I just went crazy eating everything that I couldn't have while on it and completely un did my progress. I felt too deprived so it didn't feel like it worked. I know it is not supposed to be sustainable for a life time, but it has a lot of benefits to doing it for a month, 45 days or 2 months. I am excited to jump on it again and see what kind of progress I can make. I decided to do it again because my eating has been out of control lately. I have a major sugar addiction that is hard for me to break unless I just go cold turkey and fast! So I am doing it. I always feel way better when I eat this way and I really want to reintroduce food slowly at the end of my whole 30 this time to see what I react to. Last time, I didn't reintroduce but I felt SO bad every time I ate food that wasn't whole 30 for about a month afterwards so I am anxious to see what the culprit is! I am planning to do a lot of things differently this time around, which I plan to write about assuming it goes well this time! The biggest change is that this time I am doing it alone. My husband and I both did it last time but he is sitting this one out, so it'll be interesting to see how my will power holds up! I'm sure I will be updating my progress here and there on Instagram! 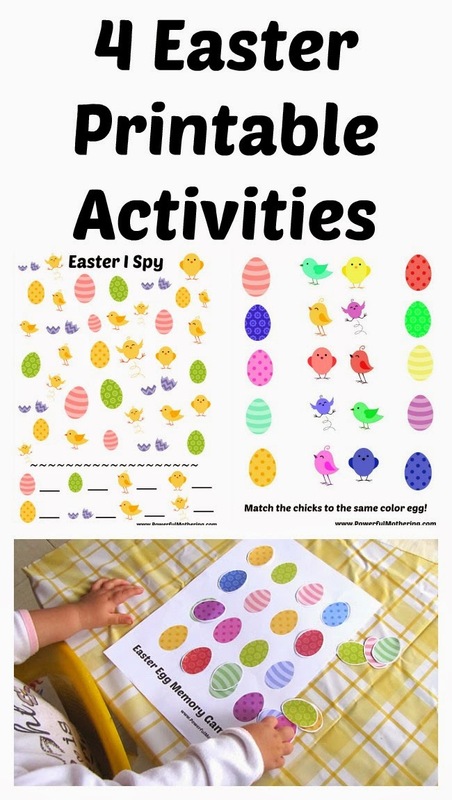 Nicolette from Powerful Mothering shared 4 downloadable Easter printable activities for preschool age kiddos! They are so cute and perfect for the upcoming holiday! Thanks for sharing, Nicolette!